Project Denneler: Whale, isn't that a cute cookie? Ahoy there, matey! Have I got a fun, little cookie to share with you today. 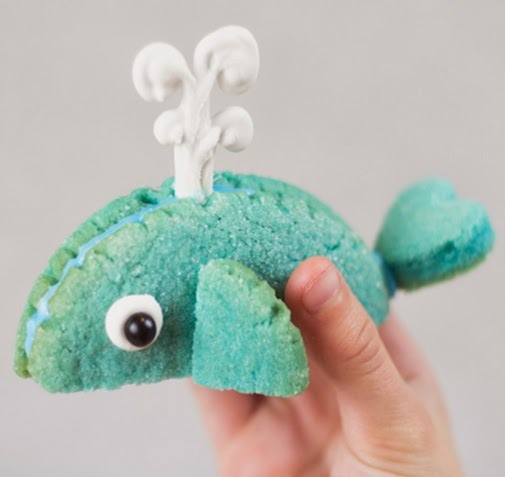 These 3-dimensional sugar cookie whales are easier than they look. I just baked a batch of my favorite, Kansas Sugar Cookies, cut them up into various, shaped pieces, and reassembled them into wonderful whales. 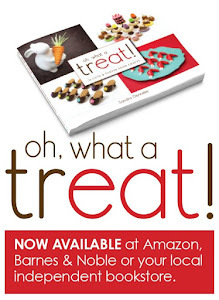 My favorite part is the candy melt water spout. Thar she blows! They'd be a sweet treat at any baby shower or birthday party. 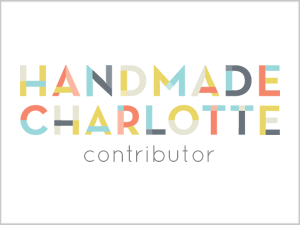 For the step-by-step instructions, head over to my handy-dandy tutorial on Handmade Charlotte.